These spiritual truths must have an impact on how we concretely raise our children. Let us look at some of the ways. At home, as we talk to our children, we must teach them that they have been given rich gospel promises by our God. We must explain those promises, how beautiful they are, how rich, and how much good news. As soon as they can understand, we begin telling them about their baptism and what it means. From their youngest days, we tell them that baptism means that they have been claimed by God to be his child. We teach them to understand that claim, accept it, believe it, and then live accordingly. In other words, we disciple our children, we shepherd them. We raise them in the ways of the Lord; we raise them to be Christians. In many churches, they have special youth pastors. So do confessionally Reformed churches like ours. We actually have a whole army of youth pastors in our churches. They are called parents. Parents are the front-line youth pastors in a Reformed church. Parents, your calling is to do what you promised to do at the baptism of your children: “instruct your child in this doctrine, as soon as he or she is able to understand and have him or her instructed therein to the utmost of your power.” Dear reader, if you are a parent, I want to urge you to take that calling seriously. It is your calling first and foremost, not the church through catechism classes or the teachers at the Christian school. It is your calling to disciple and shepherd the children God has entrusted to you. Here our churches have agreed that consistories shall pay attention to what is happening with the education of our covenant children. The elders have a responsibility to ensure that, as much as possible, the covenant children of each congregation are being taught in a way that not only does not conflict with what the church teaches, but which actually harmonizes with what the church teaches. This article in our Church Order follows article 57 about baptism. There is a good and biblical reason for that. 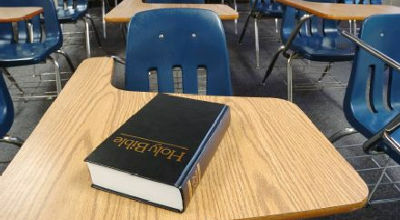 Christian education follows from the covenant status of our children. Let me be clear: that does not begin with the consistory breathing down your neck about it. That begins with you being convinced in your heart as a Christian parent that your child has a special covenant status from which necessarily follows a Christian education. At our Christian schools, your child is educated in a way that fits with their position in the covenant of grace. That is just not going to happen in a public school. While there might be individual Christians teaching within the public system, it is a system dominated by a worldly and anti-Christian philosophy of education from the earliest levels to the highest. We want our children to honour God and acknowledge him in all their ways from their youngest years. Therefore, faithful parents of covenant children will always place enormous value on Christian education and even make great sacrifices to make it happen. There is another important impact of our children’s place in the covenant and that has to do with the church. As participants in the covenant of grace, we believe that all our children are members of the church of Christ. They are not potential members or “members-in-training.” All our children, even the very youngest, they are all members of our churches. Sometimes there is this mistaken notion that our children become members when they do public profession of faith. This is simply not true. 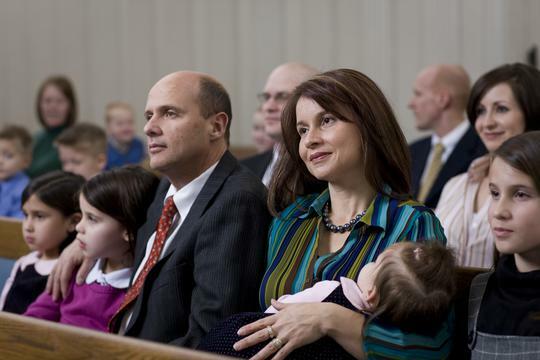 Our children become members when they come into the covenant of grace, which is to say, from the moment they are conceived in their mother’s womb. What happens at public profession of faith is not membership in the church, but a shift from being a non-communicant member to being a communicant member. At public profession of faith, our children take responsibility for their church membership. Yet they have always been members of the church. That is an important point of difference with so many around us. So many Christians today do not look at their children as being members of the church. This is not a theoretical question — it has a practical bearing. One crucial place the practical bearing comes into play is public worship. If the kids are not members, then they do not really belong in public worship. They do not understand anything anyway; they are not going to get anything out of it. Therefore, instead of meeting with God along with the adults, the kids can and should go to some program designed especially for them. This is what inevitably follows from restricting the covenant and church membership to believers only. We take a different approach and we always have. Children belong to the church, therefore they belong in public worship as soon as possible. They belong in that covenant meeting between God and his people, because they are part of God’s people. To leave them out would be to say that the call to worship for God’s people does not apply to them. If we are consistent with following through on our covenant theology, that would be unthinkable. As soon as they are able, we want to see our covenant children meeting with their God. “As soon as they are able” means that there is going to be some variation and we cannot set a hard and fast rule about it. Some children are squirmier than others. I get that — I have kids too. Some kids come into this world naturally more docile and they can sit in church when they are two. Other kids are going to take a little while longer and that is perfectly okay. Yet they all belong there eventually. There are going to be some challenges that come along with that. Sometimes kids learning to come to church are going to make some noise and be a bit restless. The rest of us in the covenant community have to cut parents and kids some slack, be patient, and just rejoice that these kids are there. Let the little children come! They belong with us in God’s presence, all of them. God is present to bless them as well as us. As parents, there are some things we need to do to make that happen. From as soon as they able to understand, we start teaching them about what church is and what we are doing when we gather for worship. This is part of discipleship. We teach them to be respectful and reverent in church. When they are able to read, we make sure they have a Bible and a Book of Praise. We make sure they start following along and that they are singing with the rest of the congregation. We teach them to do these things from when they are young. We do not tell them it is optional, that you can sing if you feel like it. No, we are all part of God’s covenant people and so we all sing together, young and old, good singers and not-so-good singers. When the collection comes, we have to make sure that our kids are actively participating in that element of our worship too. They can put money in the collection. That is part of worship too, something they can easily do to worship the LORD. Moreover, what about the sermon? Many times, the minister will work the kids into the sermon. Parents of covenant children should follow up on that and make sure their kids understand. God’s Word is for them too. You can often be surprised what kids pick up and we should encourage them to be listening to God’s Word as it is preached. It is for them too, as part of God’s covenant people they are also being addressed. Last week I was invited to lead a workshop at the 2014 Canadian Reformed Teachers Association convention here in Hamilton. The topic of my workshop was classroom devotions. As I was preparing for it, I looked around for what others have written in terms of reflection on it. There are lots of “classroom devotions” and such materials, but I could find very little on the principles and purpose, etc. 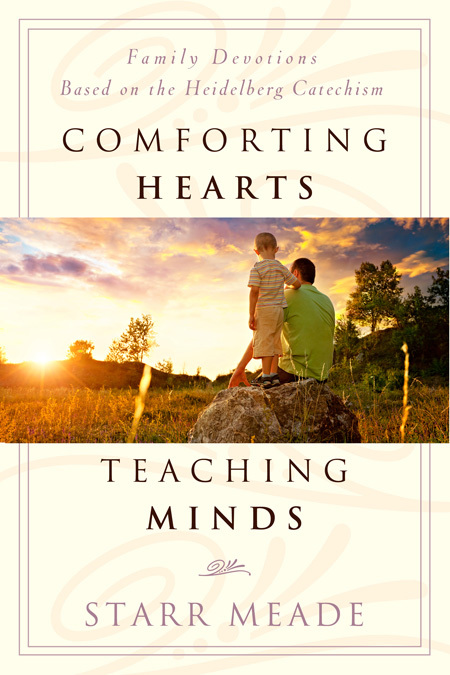 There is a chapter in John Van Dyk’s book Letters to Lisa: Conversations with a Christian Teacher. There’s also an article in the Spring/Summer 2009 issue of the CRTA magazine Compass. Aside from that, I didn’t find anything else and that was with the help of some of the faculty at the Covenant Canadian Reformed Teachers College. By sharing my notes from last week’s workshop, I hope to offer a small contribution to help address this gap in the literature. You can find it here. Over the weekend, I finished reading Charlie R. Steen’s A Chronicle of Conflict: Tournai, 1559-1567. Tournai was the city where the Belgic Confession was penned and where it first became public in 1561. This book covers the years before and after, though the Belgic Confession is never actually mentioned. This book is a disappointment in some respects. The author portrays the Reformed churches and their pastors as revolutionaries. He seems to adopt the view of the government of this period that Guy de Bres and the other Reformed believers were actually seditious people intent on overthrowing civil order. In that regard, Steen also makes several crucial errors in fact. 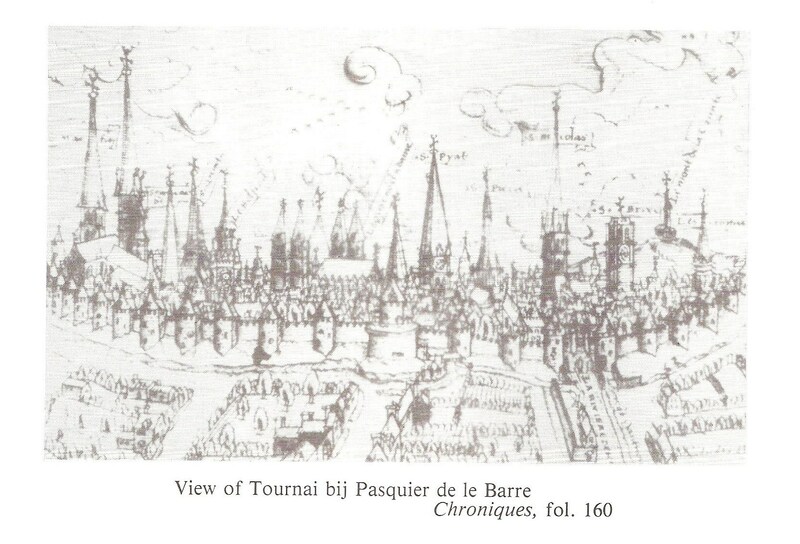 For instance, he argues that de Bres was involved with leading nocturnal psalm-singing in the streets of Tournai (30). In point of fact, de Bres warned the Reformed believers not to do this. Moreover, Steen often confuses the rabble that used the Calvinistic label as a pre-text for their civil disorder with devout Reformed believers who opposed it. In short, this account of this period in Tournai’s history is not sympathetic to the Reformed churches, nor does it even really present a balanced view of things. Instead, in some places it seems like Steen has an axe to grind with the Calvinists. Finally, even though it is a scholarly work, many of the author’s statements are unsubstantiated. There are end notes, but there could have been many more. 1) Psalm-singing. This was mostly because of the obnoxious chanteries, or public psalm-singings that always took place at night in Tournai. Margaret of Parma eventually made psalm-singing a capital crime. The psalms (the Word of God!) were considered to be seditious words — it became treasonous to read or sing them. 2) The deaconate. When the time seemed right, the consistory of the Reformed church in Tournai began taking collections for the care of the poor. A deaconate ministry was established. Margaret of Parma regarded this as a “obvious and pernicious conspiracy.” The Reformed were seizing privileges and prerogatives that belonged only to the civil magistrates. Welfare belonged to the state and the church was out of bounds to try and work in this area. 3) Christian education. The consistory in Tournai wanted to establish Christian schools for the children of the Reformed church. This was also regarded as seditious since education belonged to the realm of government. After Philip II regained control of Tournai in 1567, a law was made which stated that Reformed children had to be sent to Roman Catholic schools. If they were not, they could be taken away from their parents. One item that Steen doesn’t mention is the celebration of the Lord’s Supper. This was actually the reason why de Bres was hung on May 31, 1567. He was hung for celebrating the Lord’s Supper against the orders of the civil magistrate. In fact, the celebration of both sacraments by the Reformed was regarded as seditious. Babies who were baptized in the Reformed church during its brief time of relative freedom later had to be rebaptized in the Roman Catholic Church. The three main items mentioned above could still be regarded as subversive, even if they are no longer regarded as seditious. They are counter-cultural. The singing of psalms is virtually unheard of in churches today. Ironically, some of our own Reformed people would be happy to get rid of most of them too. The deaconate too is a rare institution in Christian churches, though I don’t think the government would complain if our deacons were to do more. As for Christian education, it is also a niche endeavour for the most part. As for the civil government, in most Canadian jurisdictions Christian schools are just barely tolerated. Last week, I mentioned the WSC Evangelium dealing with education. I concluded by noting that it is important for church, home and school to be working on the same confessional basis. This has been a sentiment held by many Reformed people for nearly two centuries. Back in the early nineteenth century, the Reformed church in the Netherlands was in a sorry state. God’s Word was hardly taken seriously except as a “moral guide” and the gospel was nearly lost. As just one example, an article was published in the early 1830s that denied the existence of hell and defended the view that death is not the result of sin (sadly, such views are still found today in Reformed churches). However, God brought about a remarkable reformation. This is usually referred to as the Secession of 1834 or, in Dutch, Afscheiding. Most Reformed churches in North America (including the CanRC and URCNA) are heirs of this reformation. One of the minor players in the Secession was an ancestor of mine named Dirk Hoksbergen. He was my great (4x)-grandfather. Hoksbergen was a farmer and an elder in the Reformed church in Kampen. He later became a “teaching elder” or lay-pastor. May the Lord save all of us that we do not bring forth children for Antichrist, the adversary of Christ, who even banned the doctrine of Christ from the schools; when with us our God-fearing ancestors taught our young children that according to Solomon they should be brought up in the ways of the Lord, and when old, they would not depart from it. …since they are engrafted in Christ, they dedicate their God-given children in baptism, and according to their oath and duty consecrate them to the Triune God; as for the present, they still swear that oath, but falsely, to mock God, for the doctrine of Christ is banned from the schools, and they swallow the fables of anti-Christ which intoxicates them and confuses their head and understanding. …The schools are as corrupted as the churches; shall we refrain from attending church, but send our children to the schools? Hoksbergen’s letter was the first volley in a battle for Christian schools that would be committed to the Reformed confessions. Eventually, this battle would be won. For him and for countless others, it made no sense to send their covenant children to receive an education where the basis would be anything other than that embraced by home and church. Reformation in the church necessarily had consequences for Christian education.